5 pcs. 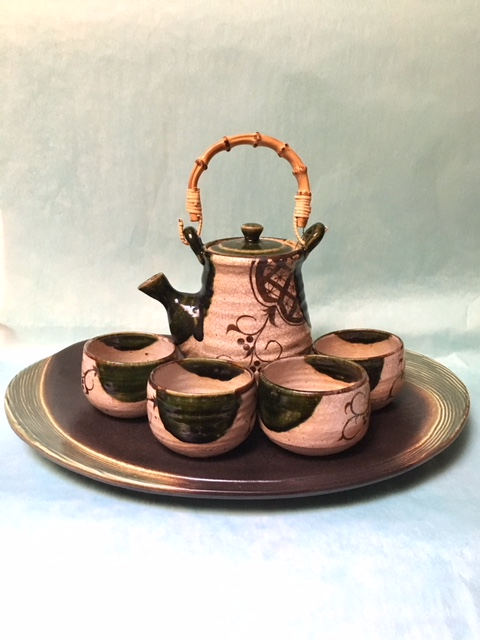 modern Oribe style tea set from Japan. Oribe style ceramic tradition dates back to 16th century embodies unusual organic shapes and boldly colored glazes and designs with far reaching influences beyond ceramic circles. Matching oval Oribe plate is 14" X 10 1/2" and priced at $47.50.